In certain parts of North America houses clad entirely in brick are very common. As well, brick is often used to add interest as an accent feature. Natural brick colours vary from red to brown to gray to cream and are typically mottled in pattern. Correctly diagnosing the colours in any brick is vital, as these colours will inform the rest of the colour choices you make for your home. Whether you’re choosing a brick, or considering painting the brick you already have, I can help you get the colours right and on the right track to complete the look of your house. I live in a neighbourhood full of brick houses — how do I get mine to stand out? I’m building a house and my neighbourhood plan says I need to make it brick Can you help me pick the best one? I’m ready to paint my brick — how do I choose the right white? How do I coordinate my brick colour to everything else on my house? How do I combine stone and brick in a classic way? Brick differs from stone in that brick can be painted where stone typically cannot. The option to paint brick can open up other possibilities for the look of your house. 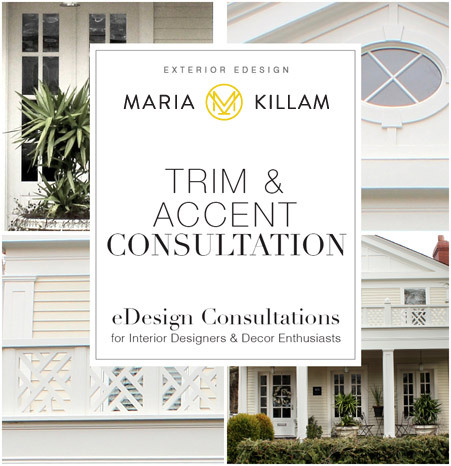 Once you purchase this Exterior Colour Consultation you’ll receive a prompt email with a fill-in-the blank form so you can describe your question and give us the relevant information for the consultation. This email will also give you instructions on how to send me photos, so I can get a good sense of the area in question as well as least one photo of your entire home. Take the photos and complete the form and send it to us.